ARC-lite is the world's first system to offer fast, reliable, room temperature AR coatings on package and wafer level devices. 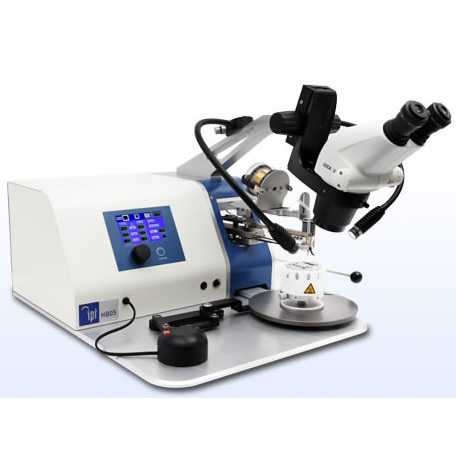 ARC-lite is used as a free-standing unit for AR coating polished backside surfaces. The sample produced are optimized and require no baking. ARC-lite reaches maximum functionality when used with ULTRA TEC's ASAP-1 Selected Area Preparation System -- The sample mounting plate (pictured below) can be conveniently transferred between ARC-lite and ASAP-1. Two proprietary imaging fluids provide ARC-lite users with optimized backside imaging. The standard "EMMI" fluid has been recently joined by a new "FIB FRIENDLY" fluid that offers improved temperature stability, to allow backside modifications to be carried out on AR coated parts. • ARC can be done ‘in-house' - NO BAKING!